This report by Henning Tamm examines the convergence of factors that helped create and then broke apart the Union des patriotes congolais (UPC, Union of Congolese Patriots), one of Ituri’s most powerful armed groups. 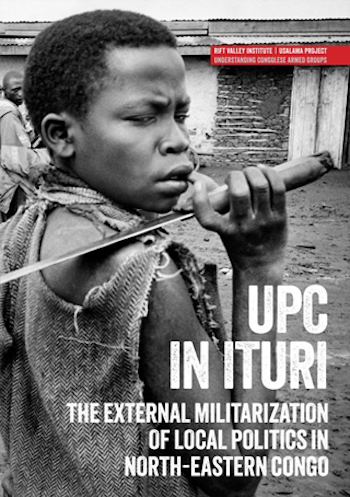 Created in the context of Ugandan occupation, which led to an increased militarization of politics, the UPC represented a local attempt to regain political and military control over the district. The movement was largely driven by elite interests from within the Hema community, the socio-economically dominant ethnic group in Ituri, and attracted external support first from Uganda, then from Rwanda.